One of the biggest enemies to transmissions is heat. 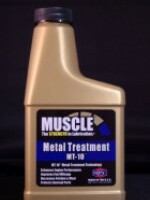 When MT-10® Transmission is added, heat is significantly reduced. MT-10® Transmission addresses the extreme-pressure (EP) areas, such as planetary and worm gear systems, along with bushings, bearings and shafts. MT-10® Transmission will not affect sprag or clutch friction necessary for the operation of the transmission. Metal Treatment MT-10® Transmission is an industry leader in reducing those costly comebacks because it reduces frictional heat and wear without surface build up. MT-10® Transmission can also be applied to parts during rebuild. 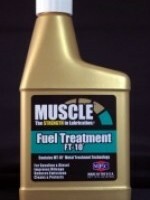 Need an automatic transmission assembly lube? 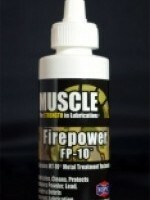 Try Muscle Penetrating Oil SL-10TM, a heavy-duty spray lubricant for pre-lubing and conditioning all metal parts. NOTE: Although MT-10® Transmission reduces friction, it has no negative effect on the sprag or clutch friction necessary for the operation of the transmission. As confirmed by Raymark in a letter of October 1986 in testing their SAE clutch pack: "The results of our test indicate no change in the friction levels, thus we do not expect the addition of your additive to have a negative effect on our friction products." 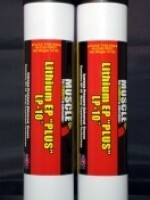 NOTE: Muscle products are not intended to cure mechanical failures. FP-10TM nodrošinās maksimālu aizsardzību un aprūpi ieročiem un ieroču sistēmām. FT-10TM degvielas piedeva, kas savietojama ar visa veida degvielu. LP-10TM ir pretnodiluma, ekstrēmam spiedienam paredzēta, daudzfunkcionāla litija smērviela. MT-10® eļļošanas tehnoloģija ir balstīta uz tribologic metodes, kas uzlabo eļļošanas un slodzes izturību, uzlabojot metāla virsmas īpašības.